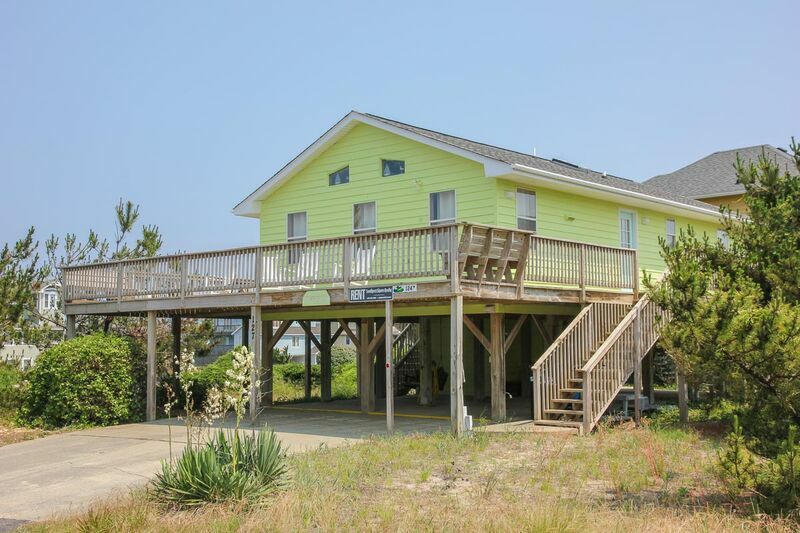 Enjoy being close to the ocean, amazing deck views and a well-maintained home at a great price. Spend your Outer Banks vacation enjoying the ocean breezes. Comforter offers a beach cottage feel with all the comforts of home. This cozy rental home is located just one lot from the beach, and directly across from the beach walkway. Convenient to great local restaurants, unique gift shops, and local attractions, Comforter is in the perfect location. 3 bedrooms (master bedroom with Queen; 1 with Queen; 1 with 2 Bunk sets), full hall bath; kitchen; living room; and open decks.